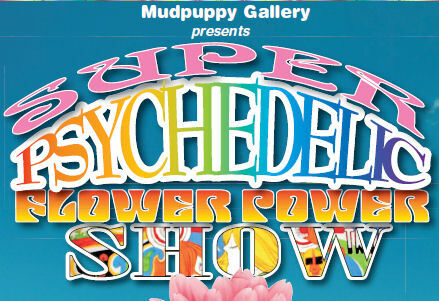 Amherstburg’s Mudpuppy Gallery presents the Super Psychedelic Flower Power Show. Over 50 pieces of art from about 30 area artists now hang on the walls of the gallery. Works are in a variety of media including oil and acrylic paintings, mixed media, and photography. This show was planned to coincide with the Amherstburg Garden Tour and Fair on May 28th and 29th. The Mudpuppy is a Garden Sponsor and a stop on the garden route. The show opens Wednesday, May 11th and runs until Sunday, May 29th, with the closing reception on May 29th from 1:00 pm to 4:00 pm to go with the Garden Tour. The art on display is also available to be purchased. The Mudpuppy Art Gallery is located at 264 Dalhousie Street in Amherstburg.